Welcome back for my second day sharing some fun Valentine cards! I love 6x6 patter paper pads, I have alot of them. And truth be told I don't use them as much as I should considering how often I add to the collection. But today's cards use a little bit of that hoarded paper. 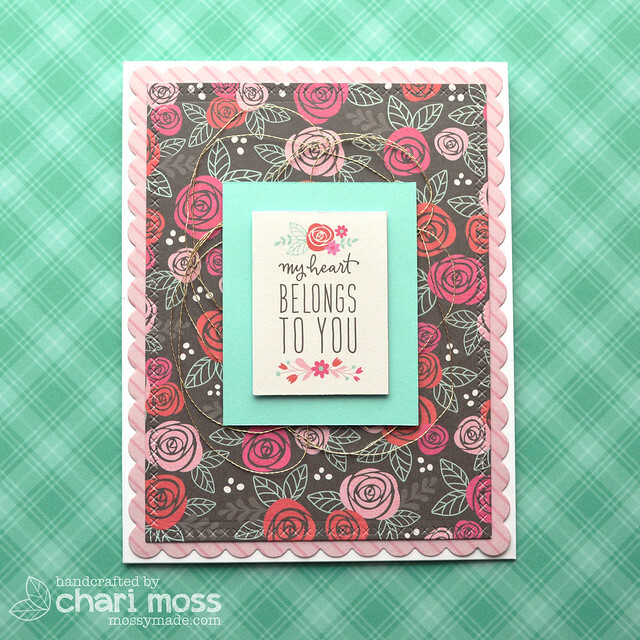 I like adding an unexpected color to the traditional reds and pinks of Valentine's Day and today's cards do just that. 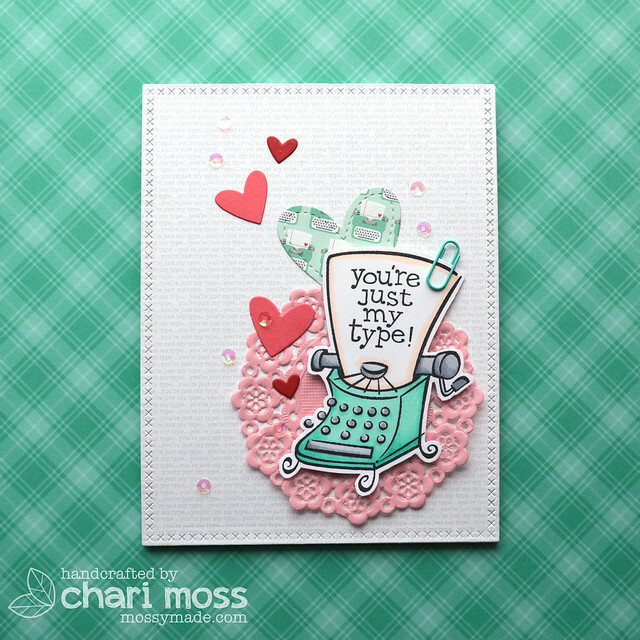 My first card features an oldie but goodie Lawn Fawn set called Just My Type. This set is retired but I still love that little typewriter and the fact that the sentiments fit on the paper. I picked out a couple Doodlebug papers that went with my typewriter theme for the background and the stitched heart. 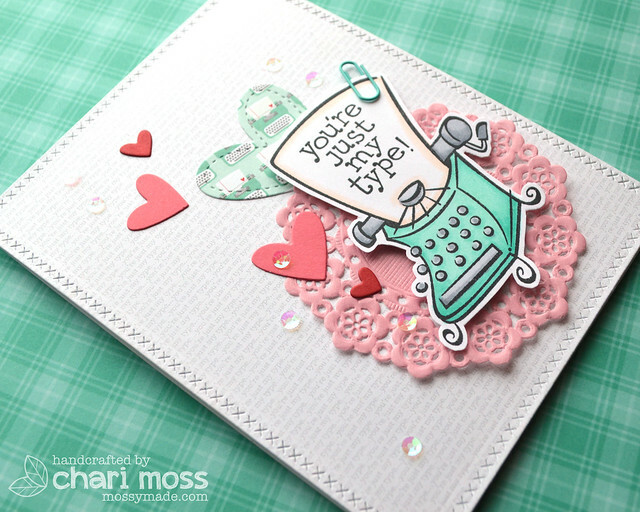 I used a mini pink Doodlebug doilie for the background of the focal point on the card and then layered the typewriters and hearts around it. I finished it off with some clear irridecent sequins and a tiny teal paper clip. My second card features some more patter paper, this time from the Forever my Always pad from Pebbles. 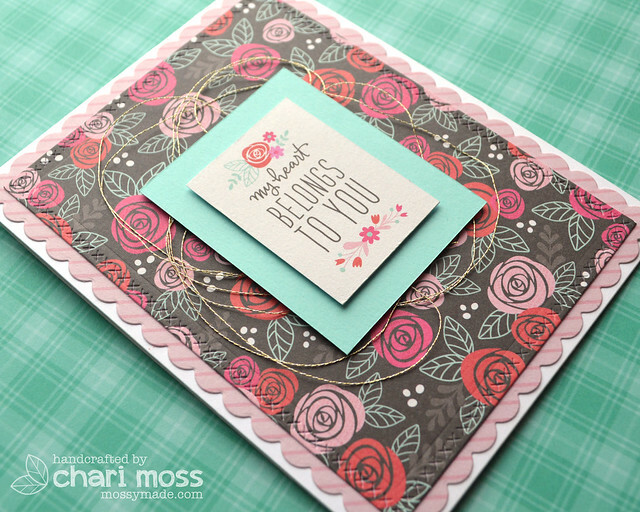 I really liked the flower paper so I just wanted to keep that as the highlight of the card. The sentiment panel is also from the same paper pad. I cut it apart from the rest of the paget and layered it on a Mermaid cardstock rectangle. I popped these pieces up in the center with some gold metallic thread behind them.